The Cocktail Shop is devoted to all things cocktail! 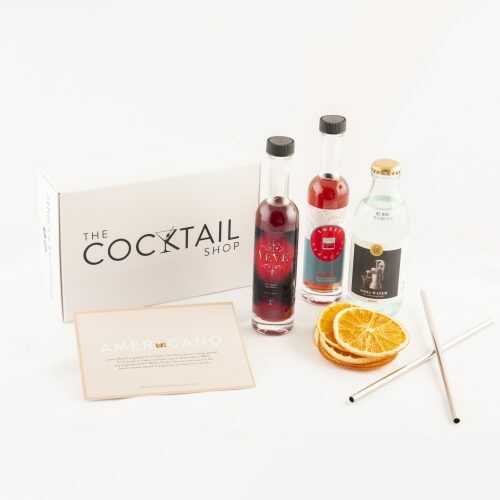 Our cocktail kits enable you to enjoy bar quality libations at home with everything you need for a cocktail recipe swiftly delivered to your door in one convenient pack. Try a variety of cocktails and sample premium spirits without stockpiling expensive liquor to gather dust for years to come. Find drool worthy barware and cocktail garnishes, plus bottles from our favourite local, craft producers to stock up the liquor cabinet. Also, discover enticing cocktail recipes to build the repertoire and tutorials to get you mixing and shaking like a pro. Launched in 2014, Melbourne Cocktails explores an emerging cocktail culture through the lens of Melbourne’s events, bars and bartenders, as well as cocktail recipes and the liquor products that go in them. Back then, the blog was the first of its kind in Australia and one of only a handful of cocktail blogs in the World. After carving out its niche and capturing the imagination of cocktail enthusiasts around the globe, Melbourne Cocktails was nominated as one of the top six finalists in the Distilled Spirits category at the prestigious Saveur Blog Awards in 2015. The blog built a strong following amongst engaged and excited consumers. In 2018, Melbourne Cocktails branched out with some new ideas to tantalise any cognoscente of the mixed beverage. We launched The Cocktail Shop, a one stop shop for home bartenders. Subscribe for cocktail delivery. You’ll receive our latest cocktail kit, as well as discounts and freebies. You’ll also get the VIP treatment with our latest cocktail kit delivered to you before our casual customers. Use your unique code on social media to share special offers with your friends for more rewards. Join Now!